Everyone knows Superman is physically invulnerable to pretty much anything except kryptonite. To my mind, this makes for a fairly dull superhero because it takes a lot of danger out of the comic. 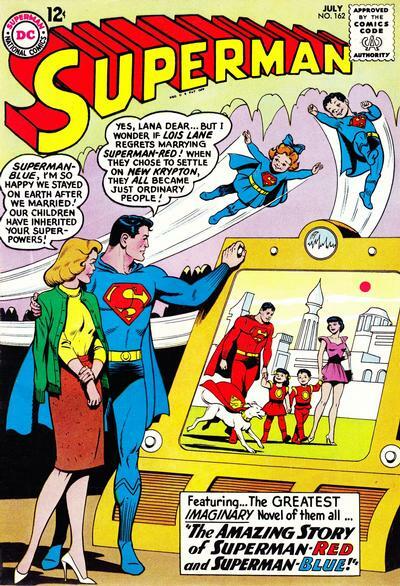 I was wondering if Jerry Seigel or anyone involved with Superman had explained why they made this decision? While this was sufficient for the comic for a while, it became a problem for the Superman when he became a radio play character and even more so when he became animated during the early 1940s. The Fleischer & Famous Superman animated shorts are some of the finest cartoons of the period. During this time, Superman became a bit stronger and a bit faster. During this time, superheroes were beginning to gain traction and Superman was experiencing competition. So he became a bit flashier to keep up. also started using his x-ray vision as a weapon eventually becoming "heat vision"
his strength became significantly greater in the fifties, keeping him the biggest dog on the superhero landscape which had begun to grow. He began using his cape as a tool, since it was also invulnerable, as everything from Krypton was, he could use it to contain explosions, protect humans from superhuman speed flight and he used it to keep people warm on the way to his Fortress of Solitude in the Arctic. The release of the book, Seduction of the Innocent, in the 1950's which blamed comics for social ills threw cold water on the comic industry. Four-color heroes had taken a turn for the worse and Westerns were the only things selling well during the period. By the sixties and seventies, comics exploded with DC Comics, Charlton and Marvel Comics, producing an entirely new line of comics. This is when Superman's powers simply became far to numerous to keep track of. He acquired new powers as plot devices, sometimes lasting only one issue, experimentation with new conditions (like humans gaining powers under blue suns) and the multiple colors of Kryptonite made this one of the most prolific periods of power amplification of the Superman Family. Extreme Superhuman strength - powerful enough to move small planets, during the seventies, there was NO hero in the DC Universe with more strength than Superman. Nearly complete invulnerability to everything. Only magic, exotic radiations or an orange or red sun could even slow him down. This continual expansion of powers of superheroes, plus their numerous parallel Earths lead to the eventual dissolution of the DC Multiverse in the Crisis on Infinite Earths, where the entire DC Universe was restructured, power levels changed, redundant characters removed and most importantly Superman was depowered. This recalibration allowed writers to create stories for Superman that did not require him to move planets to tell stories. He lost his complete invulnerability. He was still tough, but a nuclear weapon was again able to affect him. Byrne tried to create more reasonable pseudo-scientific reasons for his powers. Byrne introduced the skin-tight force-field concept meaning his suits would rarely be damaged in a fight, but he lost capes like crazy. Byrne's Superman was very human and took a beat-down like a man. But this Superman was less popular and slowly but surely became more powerful. For a time, Superman's powers suite changed completely (after the world-famous Death of Superman storyline) he had powers that were based in electricity. He was commonly called Electric Superman. And for a time, there were even two of him. Superman Red and Superman Blue. To sum it up, Superman persists because writers have been forced to adapt and change the character with the times. Sometimes it works, sometimes it fails. His plethora of powers, identities, friends and family have made him the most recognized icon on Earth. His invulnerability, may come and go, but his iconic nature is what makes him legendary. Like most of Superman's powers, his invulnerability has grown and been up-powered far beyond the character's original concept. Originally, Superman's invulnerability was more aptly described as being bulletproof. This is amply shown in some of the earlier animated shorts - Superman shows visible reactions to powerful blasts (though he does usually overcome them) and ducks out of the way of things like tank shells. In the 50s and 60s, Superman's powers started ramping up to ludicrous levels. He went from being able to leap tall buildings to being able to fly to being able to fly in space (and, incidentally, survive in space) to being able to fly near the speed of light. He went from being able to lift a car or truck to lifting a tank to lifting a battleship. They also started tacking on more and more powers - Superweaving, Super-Hypnotism (which can hypnotize people into being unhypnotized), superbaking, the list goes on and on (and only gets sillier as it goes). The reasons for this are manyfold, but the core of it is this: the writers were lazy. The market figures told them that the people reading a comic now won't be reading it again in 8 months. Plots were recycled yearly. Market stats showed that covers with gorillas or monkeys sold significantly better than ones without, so more gorillas appeared. And mostly, they had to keep one-upping each other. The writers had to create a new, meaner bad guy or threaten Supes in a new, unique way. This quickly lead to them pulling a plot resolution from their behinds, polishing it up, and calling it silver. In terms of physicality, I believe that all of Kal-El's powers all stem from the evolution of Kryptonians to survive in a solar system surrounding the red giant that is Krypton's sun. The massive gravitational forces, which are probably akin to (or beyond) living on Jupiter, require that Kryptonians have an incredibly dense molecular structure. That alone would account for Kal-El's super strength and invulnerability, as well as his heightened senses. Couple that with a heightened energy absorption potential, and that would explain the majority of his physical super-powers. If you think about it, humans absorb a number of vitamins through a passive photosynthesis from our sun. Take someone that comes from a red-giant environment, who has to make the most of a lesser amount of available solar radiation, and place them in a yellow sun environment, and they will undoubtedly benefit from the increased nutrients. As for flight, heat vision, freeze breath, etc., I always imagined that they were the result of a form of telekinesis. Like the rest of his physical structure, the molecular structure of Kal-El's brain is equally incredibly dense. That would make him a more likely candidate to have extra-sensory abilities. Without a mentor, however, he would translate those things into earthly conventions. So while flight becomes a telekinetic function, he uses the "diving" stance while he manipulates it; heat vision is a form of molecular-level telekinesis, but he uses a "gaze" posture to manifest it; likewise for "freeze breath." Some of his physical strength feats that defy physics are combination of his physical strength and a telekinetic form of gravity manipulation – which is why he can pick up a train by the locomotive, without the rest of the train buckling from the physical stress, or catching a flying missile while keeping his footing. It probably also explains his skills as an investigative reporter, and the higher-level intellectual functions that he employs as needed. Generally, he's still a farm boy from Kansas, but when needed, he can work out highly sophisticated intellectual problems. If you think about it, most of the difficulties Superman has faced involve rescuing other people in time, not just fighting to save himself. He's a tiny bit unique in this way because most of the time the reader isn't really concerned with how Superman will be damaged physically, it's more of an emotional urgency they get. It's not like other comics don't have this "rescue in the nick of time" theme though, so you have a valid point. Not the answer you're looking for? Browse other questions tagged comics dc superman or ask your own question. Is Sheldon right that Superman would have killed Lois when he caught her? Does Superman need to breathe? How Does Superman Propel Himself? Could Superman be killed by a bullet made out of Kryptonite? If Superman is invulnerable, why then does he appear to feel pain? Why does Superman fly headfirst? Has Superman ever said, “Ouch!”?